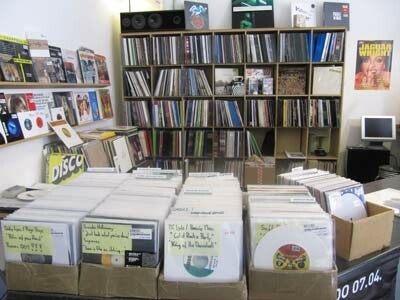 Soultrade, before Scratch records, has a big selection of vinyl. With at least 5000 records in stock the shop specializes itself in hip hop, downbeat, jazz, alternative rock, disco, boogie, african music plus more. Soultrade sells both new and second-hand vinyl, T-shirts, CD’s and DVDs. The shops owner also run a soul club called Bohannon, where such artist as The Sugarhill Gang and Penaut Butter Wolf and Aloe Blacc have performed. Plenty of Soul/Funk/Jazz reissues here, plus 2nd hand vinyl all well presented in clean plastic sleeves. Able to listen to all purchases and check for warps etc.. The owner complimented me on my selection. Good value reissues found here.